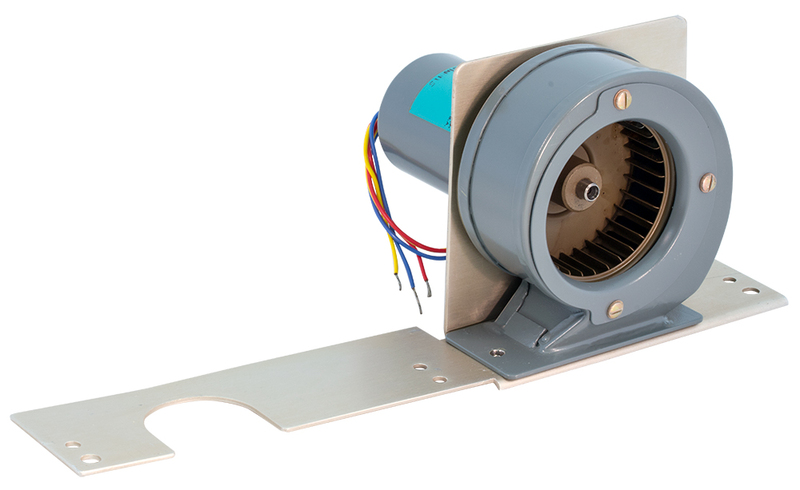 Rotron fan, centrifugal squirrel cage blower. 10,985 rpm, 400Hz, 115 vac, 1.85 amps. 2.07"D input, 1.475" x 1.765" output. 2" x 2-3/8" c-c flange output mount holes. Series 315AF. NSN: 4140-01-028-5993. 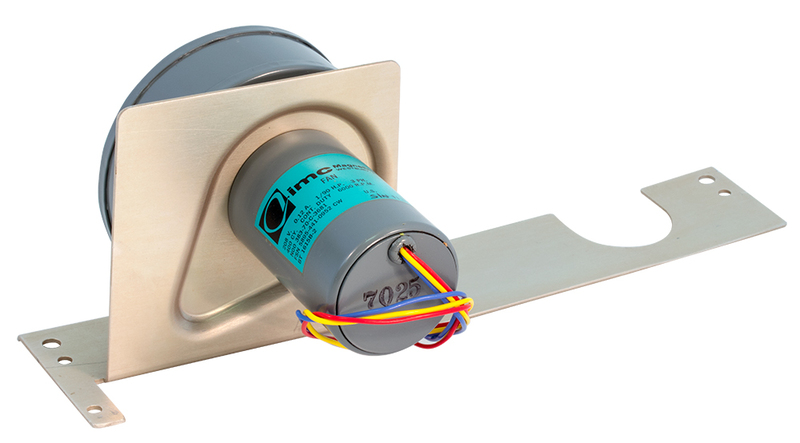 IMC 400Hz blower. 3 phase. 6000 rpm. 1/90th HP, 208v, 0.12 amp. 1" x 2" discharge. Bracket measures 10-1/2" long. NSN: 5895-441-0952. 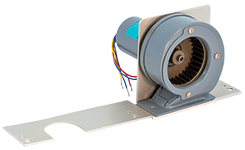 Moda Magnetics Corporation "Special Aircraft Fan", tubeaxial. 5,850 rpm @ 4,300 cfm @ 2" of water. 3.82 HP. 3 phase, 400 Hz. 208 vac or 416 vac. 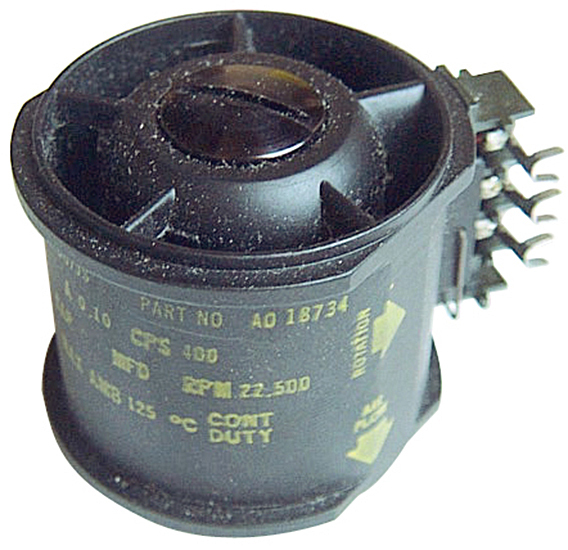 3 pin circular connector ( MS3102R16S-6P) for power. Thermally protected. NSN: 4140-00-810-1973. New, unused. Original factory boxes. 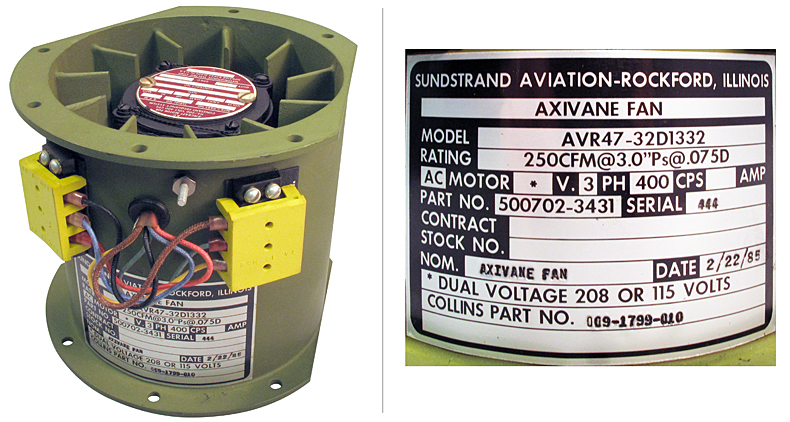 Sunstrand Aviation axivane fan. Dual voltage: 208 vac or 115 vac. 400 Hz, 3 phase. 250 cfm @ 3.0 Ps @ 0.075D. 11,200 rpm, 0.23 HP. 1.05 - 1.9 amps. 5-1/8" high x 6" diameter. New, excess from Collins. Westinghouse P/N: 941D349-1. Rotron vane axial 400 Hz aircraft blower. Series 2777XH. 3 phase, 8000 rpm, 200v, 400 Hz, 1.5 amp. C continuous duty. Body measures 5"D x 5-3/4"L. Flange mount, 5-1/2" x 5-1/2". 4" c-c mounting holes 0.185"D, 1/4" thick. 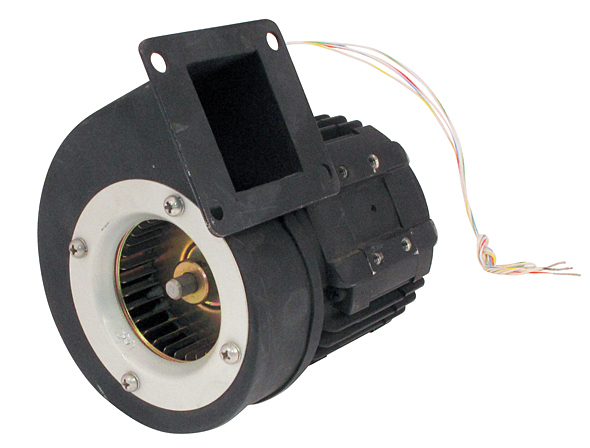 Globe Motors vane axial 400 Hz aircraft blower. Body measures: 5"D x 5.65"L. Flange mount, 4-3/4" x 4-3/4", 0.194"D, 0.206" thick. Alt. P/N: 19A2755. 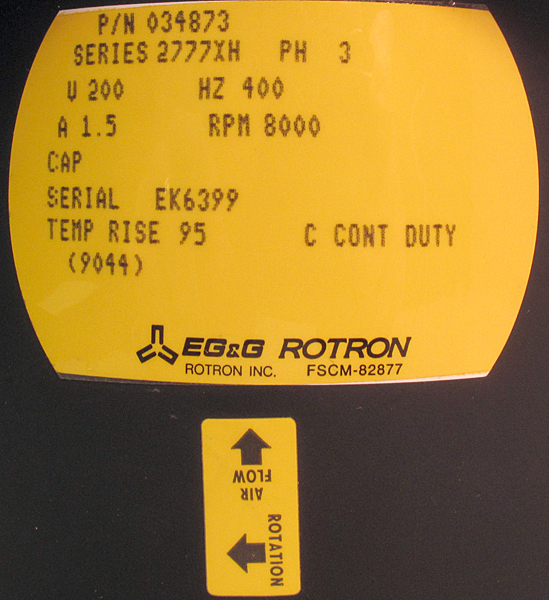 Rotron 400Hz saucer fan. 3 phase, 200v, 0.15 amp. Removed from equipment. Looks new. Guaranteed. NOTE: Other similar part numbers may be substituted. Slight variance in RPM only difference. Rotron Aximax I fan. 22,500 rpm, 200v, 400 Hz, 3 phase. Series 367JS. 1-3/4"D x 1-1/2"L. NSN: 4140-00-051-2429. Mfg. P/N: AO18734.